Yep it’s more pumpkin recipes! 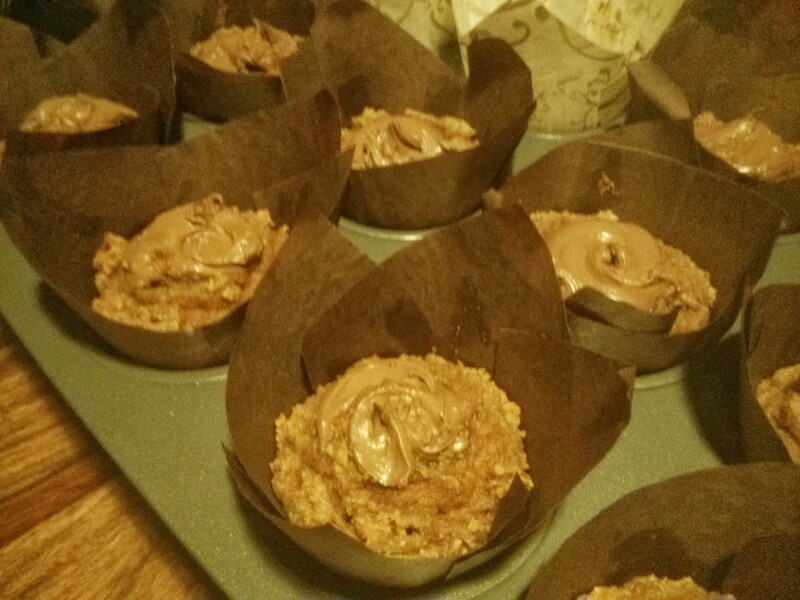 This time, for the final of Soph’s work’s charity bake sales for Kids Plate Pledge, I’m doing Nutella Pumpkin Muffins from this recipe. Not only is it pumpkin, it’s also using coconut flour which I’ve ben wanting to try for a while. 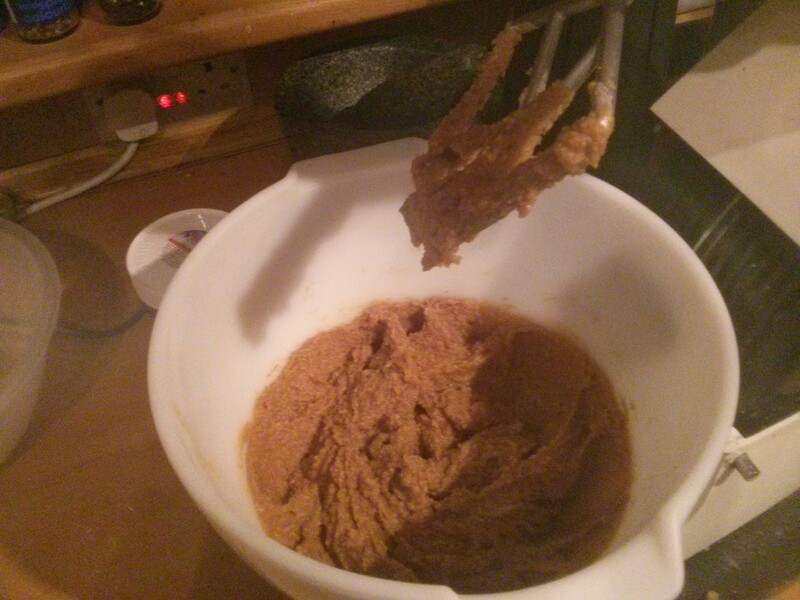 These get beaten in the mixer, then the dry stuff is mixed in. These go into a 160c fan oven for 13-16 minutes, until a toothpick comes out dry, and be careful not to just test the Nutella! Ours ended up taking the full 16 minutes. They don’t feel like set cakes at this point, but as Soph pointed out they’re not using eggs and flour, and have all sorts of extra liquids in them, so they’re probably not going to set like a regular cake. These cool in the tin before tasting. Mmm! They’re all gooey with warm spices and pumpkin, but with a shape coconut taste cutting through it. Delicious! 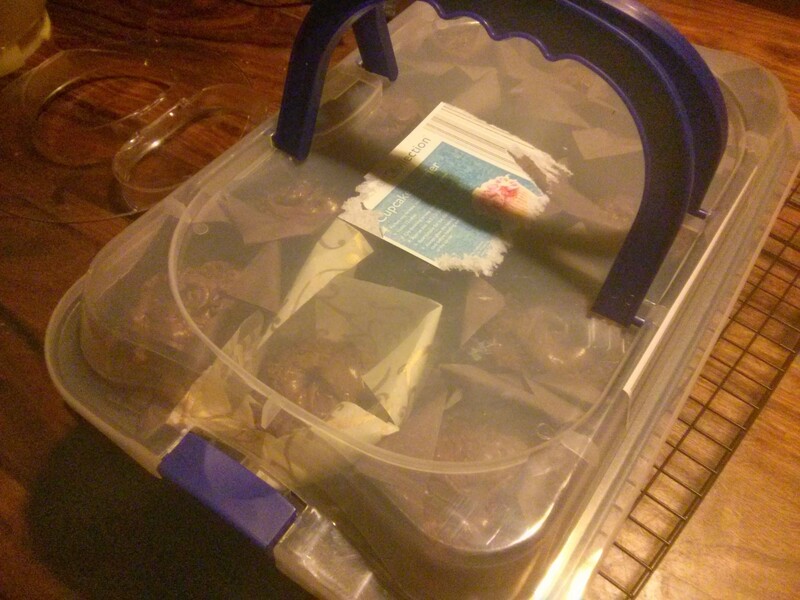 So, into the new cake carrier ready for Soph to take to work tomorrow. 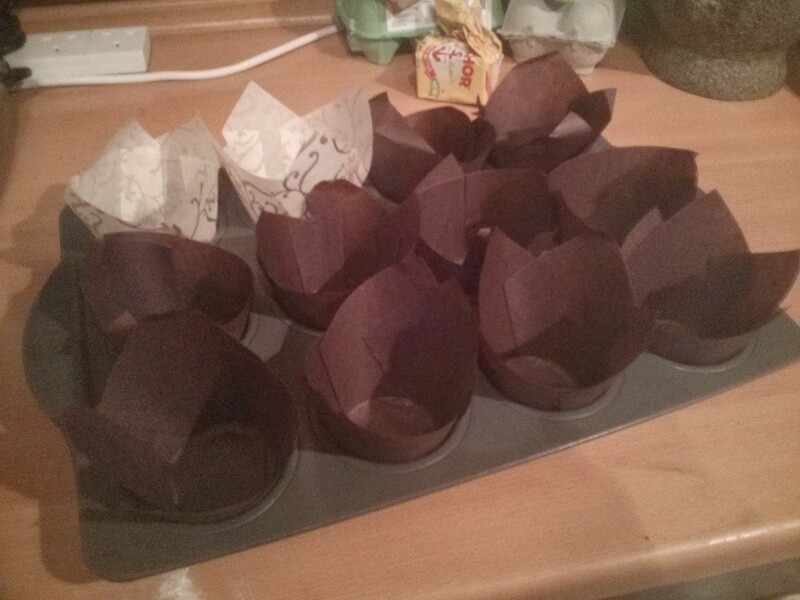 Line 16 muffin cups with muffin liners. 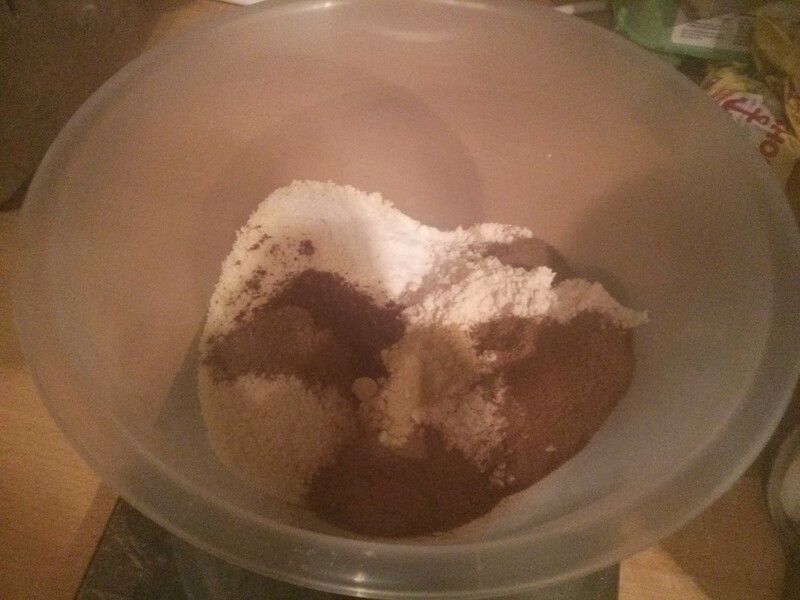 In a large bowl, mix together the dry ingredients (coconut flour through the salt). 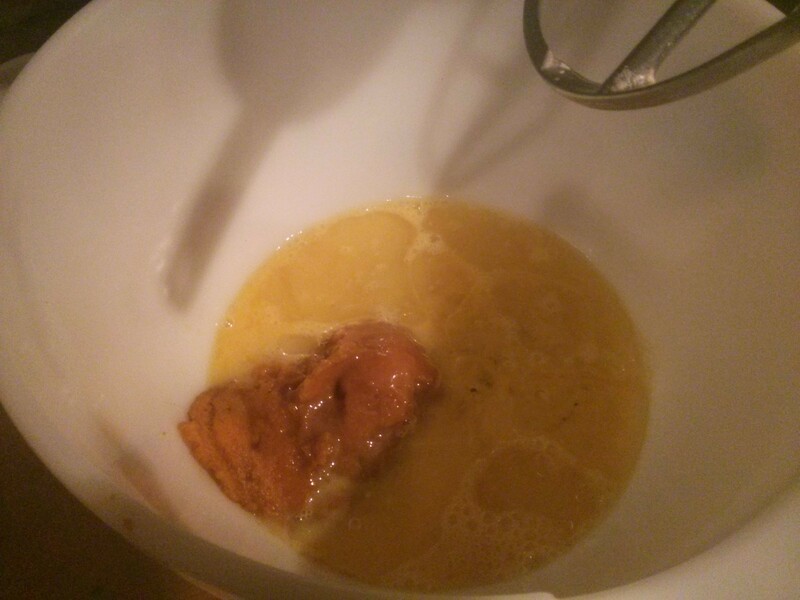 In a separate medium bowl, mix together the wet ingredients (eggs through the vanilla). Pour the batter evenly into the muffins cups. 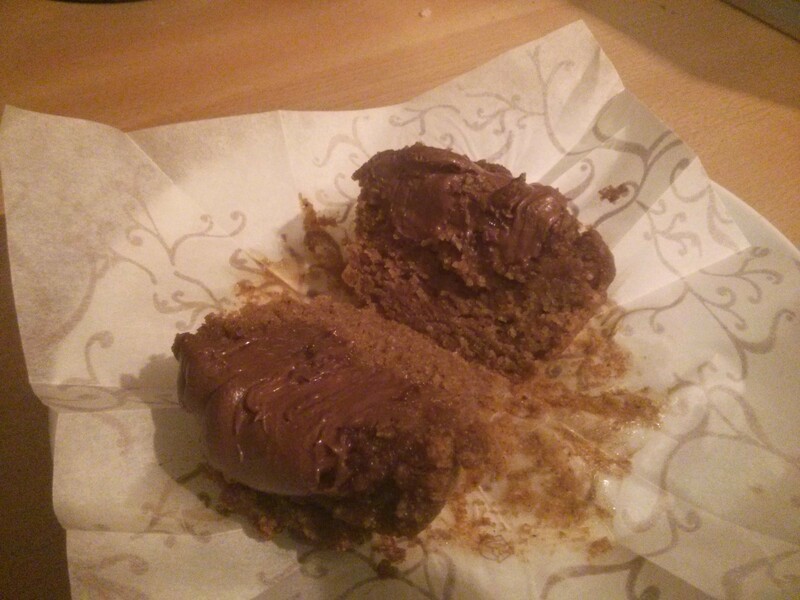 Use an actual teaspoon to put Nutella on top of each muffin and swirl it around with a toothpick. Bake the muffins for 13 – 16 minutes or until a toothpick inserted in the middle comes out clean. And for some reason it let you post this comment… How odd!